Ph.D. Pharmacology from H.S. Gour University, Saugar. 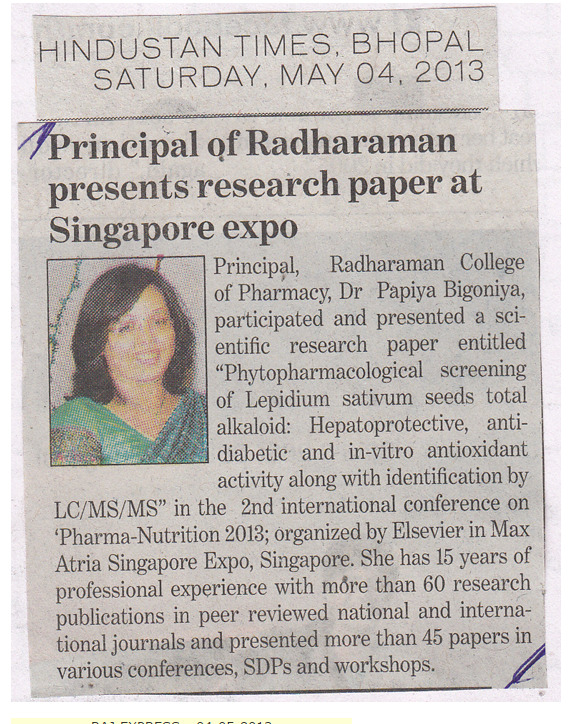 Dr.  Papiya Bigoniya,  Principal in Radharaman College of Pharmacy, Ratibad, Bhopal, has participated and presented a scientific research paper entitled Phytopharmacological screening of Lepidium sativum seeds total alkaloid: Hepatoprotective, anti-diabetic and in-vitro antioxidant activity along with identification by LC/MS/MS in 2nd international conference on Pharma-Nutrition 2013 organized by Elsevier in Max Atria Singapore Expo, Singapore from April 15th -17th 2013. Dr. Bigoniya has received financial assistance as international travel grant for presenting this research paper from Department of Science and Technology, Government of India, covering airfare, airport charges and visa expenses. Dr. P. Bigoniya is a life member of APTI, IPA, IPS, InPharm and Drug Discovery Network. 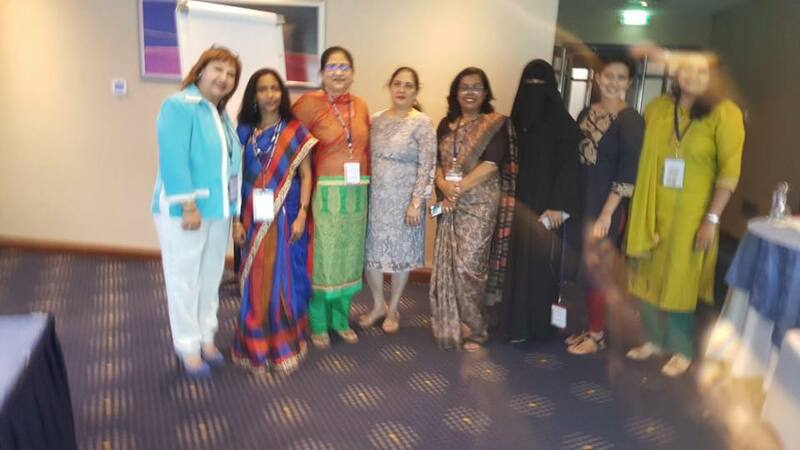 She has 15 years of professional experience with more than 60 research publications in peer reviewed national and international journals and presented more than 45 papers in various conferences, SDPs and workshops. She has also completed research projects funded by AICTE, New Delhi and DRDE, Gwalior. She is reviewer of esteemed scientific publishers like Elsevier, Taylor and Francis, Academic Journals, Science alert and Biomed Central and also in advisory board of four reputed journals. Professor Mrs. Papiya Bigoniya completed her B. Pharm from Dr. H.S. Gour University, Sagar and M. Pharm in Pharmacology specialization from Jadavpur University, Kolkata. She received her Ph.D. degree in Pharmaceutical Sciences from Dr. H.S. Gour University, Sagar, under National Doctoral Fellowship awarded by All India Council of Technical Education. She is GATE’95 qualified and a UGC Junior research fellow for 2 years during post-graduation. She served as a faculty in Department of Pharmacy, Barkatulla University and Globus College of Pharmacy, Bhopal. She is a gold medalist in P.G Diploma in Pharmaceutical Management from IPER, Pune and done P.G Diploma in Public Health from Annamalai University, Tamilnadu. Her present research projects are focused on phytopharmacological work on active isolated constituents from Indian folklore medicine directed to explore their therapeutic potential and attempting on formulation of standardized product by following the modern herbal Ayurvedic monographs and international guidelines. Her field of research focuses on pharmacological screening, pharmacokinetic, pharmacodynamic and bioavailability studies, drug-food interactions, and standardization method development for herbals. She has 48 National and International publications in her credit and also contributed in 6 book series. She is having 14 years of experience in research and teaching viz. Anatomy & physiology, Pathophysiology, Pharmacology, Clinical pharmacy, Quality assurance and Drug regulatory affairs in graduate and post graduate departments. She is supervising a number of students in post graduate and doctoral studies under her active supervision. 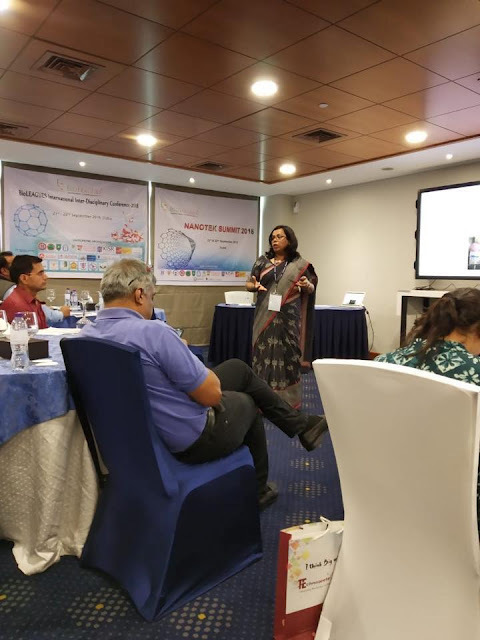 She is also serving the international scientific community by extending expertise as Editorial Board member, reviewer and referee in number of journal Elsevier, Taylor & Francis, Academic Journals, Science Alert and BioMed Central. Dr. P. Bigoniya is life member of IPA, APTI, InPharm and IPS societies. This course gives an detailed and indepth knowledge of pharmaceutical industry and drug regulatory management, which is at per with the international guidelines.  Experienced in MS office, Photoshop, coral and other specialized software like Hyperchem, Chemdraw, Chemsketch, Graphpad for evaluation of biomedical data. Activities and Societies: Research activities, Publications, Computer aided drug designing, Animal house maintenance. Experienced in MS office, Photoshop, coral and other specialized software like Hyperchem, Chemdraw, Chemsketch, Graphpad for evaluation of biomedical data. Award: Hugo de Vries Research Award 2015 for scientific contribution in the field of Traditional Medicine research. At SIRT-Pharmacy — with Pushpendra Rajput,Nipun Agrawal, Sanjeev Agrawal, Sgi Counselling,Sagar Sirtsp, Sanjeev Agrawal and Prashant Jain. 1: Bigoniya, P. and A.C. Rana, 2007. Wound healing activity of Euphorbia neriifolia leaf extract. J. Nat. Remedies, 7: 94-101. 2: Bigoniya, P. and A.C. Rana, 2008. A comprehensive Phyto-pharmacological review of Euphorbia neriifolia Linn. J. Pham. Rev., 2: 57-66. 3: Bigoniya, P. and A.C. Rana, 2005. Psychopharmacological profile of hydro-alcoholic extract of Euphorbia neriifolia leaves in mice and rats. Indian J. Exp. Biol., 43: 859-862. 4: Bigoniya, P. and A.C. Rana, 2006. Comparative macroscopic microscopic and Physico-chemical studies and quantitative physical evaluation of Wrightia tinctoria seed fibres with cotton and jute. Planta Indica, 2: 44-50. 5: Bigoniya, P. and A.C. Rana, 2008. Immunomodulatory activity of Euphorbia neriifolia leaf hydro-alcoholic extract in rats. Indian Dru., 45: 90-97. 6: Bigoniya, P., 2008. Ethnopharmacology in herbal drug development. J. Pharm. Rev., 6: 109-116. 7: Bigoniya, P., 2009. Pharmacovigilance of herbal medicines: Current status and future strategies. J. Pharm. Rev., 7: 77-88. 8: Bigoniya, P., A. Shukla, G.P. Agrawal and A.C. Rana, 2008. Pharmacological screening of Wrightia tinctoria bark hydro-alcoholic extract. Asian J. Exp. Sci., 22: 235-244. 9: Bigoniya, P., A.C. Rana and G.P. Agrawal, 2006. Evaluation of the antiulcer activity of hydro-alcoholic extract of Wrightia tinctoria bark in experimentally induced acute gastric ulcers on rat. J. Nig. Nat. Prod. Med., 10: 36-40. 10: Bigoniya, P., Rana and A.C. Lariya, 2007. Immunomodulatory activity of Wrightia tinctoria bark alcoholic extract on rats. Current Pharma. Res. J., 1: 1-9. 11: Bigoniya, P., V. Shrivastava and A.C. Rana, 2005. Effect of coconut milk on bioavailability of isoniazide. J. Asian Exp. Sci., 19: 93-102. Papiya Bigoniya and Faraz Siddique are helping to cultivate world''s future scientists. Under their leadership the research area is surely likely to excel. In historic victory the celebrity scientists: Papiya Bigoniya and Faraz Siddique honored with Hugo de Vries Research Award-2015 in Traditional Medicine. Ahead of several thousands competitors, Papiya Bigoniya and Faraz Siddique representing India won prestigious Hugo de Vries Research Award-2015 in Traditional Medicine. Again India has proved its International leadership via producing brilliant scientists in the form of Papiya Bigoniya and Faraz Siddique. IASR expressed, 'It is a privilege to have such international celebrity from Traditional Medicine among us who will shape the future of this domain.' Papiya Bigoniya and Faraz Siddique made International news headlines while IASR announced them among World’s 500 Most Influential Pharmacologists for Year 2015 on Earth. Mr. Faraz Siddiqui completed his Bechlor in Pharmacy degree from Laxmi Narain College of Technology Bhopal and Master in Pharmcy (Pharmacology specialization) from Radharaman College of Pharmacy Bhopal. He worked for SAVA healthcare Limited as Chemist Quality Control for 1.5 years. 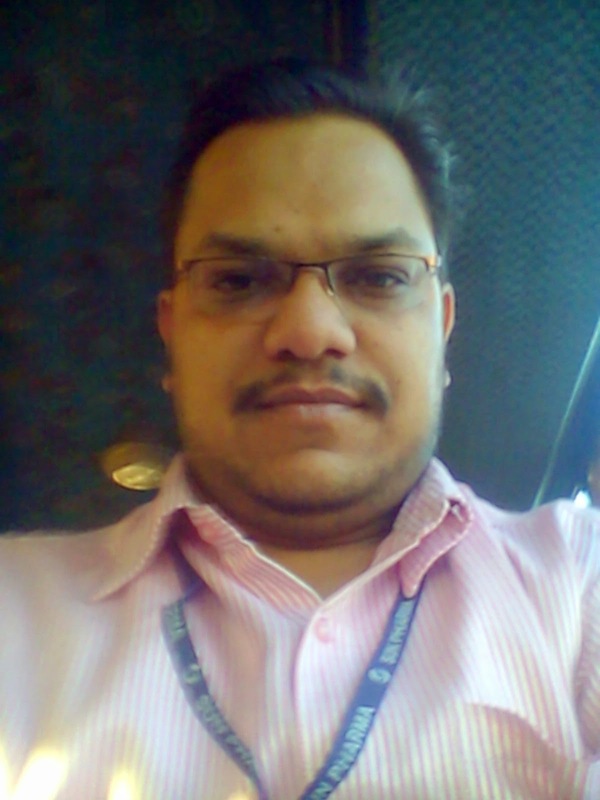 Presently he is working as an Officer Quality assurance in Sun Pharmaceutical Industries Limited, Halol (Gujarat). His present research project is focused on phytopharmacological work on active isolated constituents from Indian folklore medicine directed to explore their therapeutic potential. He is having 3.5 years of experience in Pharmaceutical industries in Quality Control and Quality assurance departments. He is supervising a number of Analytical Method Validation studies of newly developed Active Pharmaceutical Ingredients under his active supervision as reviewer. Professor Mrs. Papiya Bigoniya completed her B. Pharm from Dr. H.S. Gour University, Sagar and M. Pharm in Pharmacology specialization from Jadavpur University, Kolkata. She received her Ph.D. degree in Pharmaceutical Sciences from Dr. H.S. Gour University, Sagar, under National Doctoral Fellowship awarded by All India Council of Technical Education. She is GATE’95 qualified and a UGC Junior research fellow for 2 years during post-graduation. She served as a faculty in Department of Pharmacy, Barkatullah University and Globus College of Pharmacy, Bhopal. 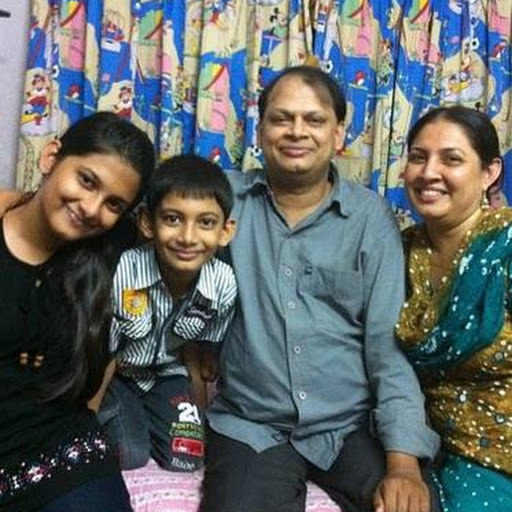 Presently she is working as a Professor and Principal in Radharaman College of Pharmacy, Bhopal. She is a gold medalist in P.G Diploma in Pharmaceutical Management from IPER, Pune and done P.G Diploma in Public Health from Annamalai University, Tamilnadu. Her present research projects are focused on phytopharmacological work on active isolated constituents from Indian folklore medicine directed to explore their therapeutic potential and attempting on formulation of standardized product by following the modern herbal Ayurvedic monographs and international guidelines. Her field of research focuses on pharmacological screening, pharmacokinetic, pharmacodynamic and bioavailability studies, drug-food interactions, and standardization method development for herbals. 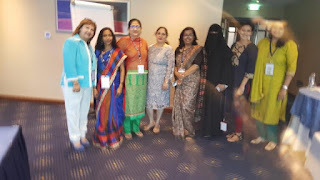 She has 80 National and International publications in peer reviewed journals, contributed in 8 book series and has presented more than 76 papers in various conferences, workshops, seminars, SDPs and training programs. She is having 17 years of experience in research and teaching viz. Anatomy & physiology, Pathophysiology, Pharmacology, Clinical pharmacy, Quality assurance and Drug regulatory affairs in graduate and post graduate departments. She is supervising a number of students in post graduate and doctoral studies under her active supervision. 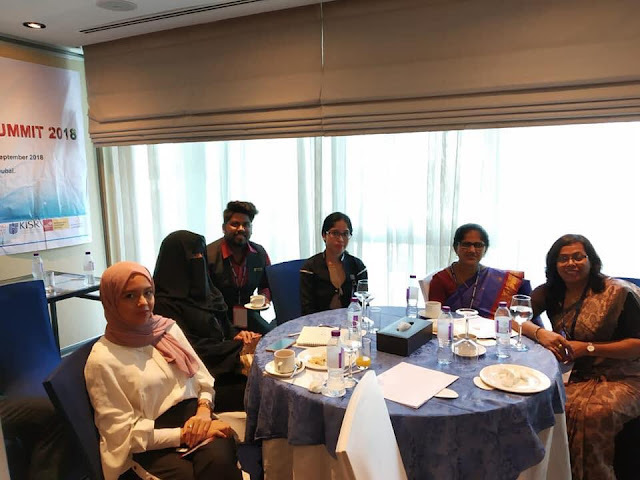 She is also serving the international scientific community by extending expertise as Editorial Board member, reviewer and referee in number of journal Elsevier, Taylor & Francis, Academic Journals, Science Alert and BioMed Central. Dr. P. Bigoniya is life member of IPA, APTI, InPharm and IPS societies. Dr. Bigoniya has recently participated and presented a scientific research paper in the 2nd International conference on “Pharma-Nutrition 2013” organized by Elsevier publications in Max Atria Singapore. 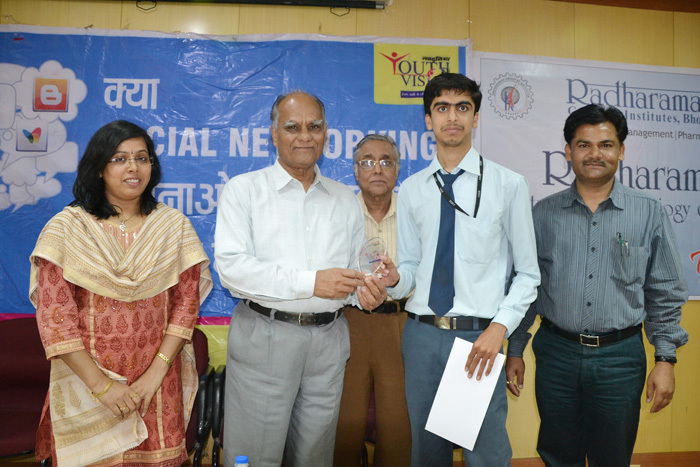 This presentation was supported by DST, New Delhi and MPCST, Bhopal by providing International Travel Grant. Papiya Bigoniya and Faraz Siddique from India made a historical victory over the international competition and won Hugo de Vries Research Award-2015 in Traditional Medicine. Their research was highlighted in international media and gathered a large worldwide attention in scientific circles while it appeared in world's most read journal 'The Journal of Ethnobiology and Traditional Medicine'. In their report on Anti-inflammatory and anti-arthritic effect of triterpene fraction isolated from Euphorbia neriifolia L. leaf they mention that Euphorbia neriifolia Linn. (Euphorbiaceae) is a abundantly growing spurge in the dry hilly and rocky areas which has been reported to have rich presence of triterpenes. The present study aimed at evaluation and phytopharmacological correlation of E. neriifolia leaf anti-inflammatory and anti-arthritic activity targeting triterpenoidal fraction (TFEN). Enrichment, isolation and characterization of TFEN was carried out by TLC, column and HPLC analysis. Paw volume, arthritic index and TNFα level in serum was determined along with histopathology of tibiotarsal joint after carrageenan and adjuvant arthritis induced inflammation on rat. Enriched E. neriifolia leaf triterpene fraction showed presence of eupha-7,24-dienol and cycloartenol in HPLC. Pre-treatment with TFEN significantly reduced paw oedema (P<0.001), arthritis index (P<0.05) and cytokine TNFα (P<0.001) level in CFA induced arthritic animals upon 28 days of treatment. Positive results of this study indicate that E. neriifolia triterpene has potent anti-inflammatory and anti-arthritic effect. Maintenance of synovial functional ability and decrease in inflammatory process may be through inhibiting cytokines and leukotrienes infiltration as evidenced by decrease in TNFα and arthritic index. Positive results of this study indicate potent anti-arthritic effect of E. neriifolia though detailed future studies are required to assess the effect on inflammatory mediators like leukotrienes, phospholipase A2, prostaglandins and antioxidant enzymes in joint tissue. 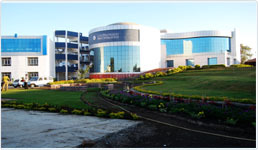 Under their leadership the research area is surely likely to expand beyond the horizons. It will be worthy to explore the further potential under their legacy. Papiya Bigoniya and Faraz Siddique as valuable intellectuals for the India offer exclusive opportunities for scholars around the world. One of the most attractive weightage for India is to have the awardees for promotion of the concerned scientific discipline for the benefit of its civilians. Thus India which has excellent track record to produce brain storming intellectuals, has offered a new extension in terms of Papiya Bigoniya and Faraz Siddique to world. Depending on the results obtained in this study we conclude that E. neriifolia triterpene has potent anti-inflammatory and anti-arthritic effect. The effect like maintenance of synovial viability and functional ability and decrease in inflammatory process may be due to inhibition cytokines and leukotrienes infiltration as evidenced by decrease in paw edema and arthritic index. Decrease in cartilage destruction and anti-inflammatory response proposes inhibition of phospholipase A2 and prostaglandins which can be substantiated by its antioxidant profile. Positive results of this study indicate potent anti-arthritic effect of E. neriifolia also its ability to overcome the complications of AIA by improvement of clinical signs in joint space. HPLC finger printing chromatogram E. neriifolia leaf triterpene fraction revealed presence of eupha-7,24-dienol and cycloartenol. E. neriifolia leaf triterpene fraction has anti-inflammatory and anti-arthritic activity E. neriifolia leaf triterpene fraction decreases joint and bone destruction, pannus formation, and cartilage erosion. The results of this study validate the traditional and reported analgesic and anti-inflammatory uses of E. neriifolia. Though level of inflammatory mediator TNFα has been determined in blood of arthritic animals, the study has not involved determination of other mediators like leukotrienes, phospholipase A2 or prostaglandins in blood or inflammatory tissue. Anti-arthritic activity screening against cotton pallet induced granuloma has not been attempted which can access effect of E. neriifolia leaf triterpene tissue turnover rate. Estimation of level of lipid peroxide, superoxide dismutase, glutathione peroxidase and catalase like anti-antioxidative parameters in inflammatory tissue has not been done to directly correlate anti-inflammatory and anti-arthritic activity with antioxidant property. Determination of inflammatory mediators like leukotrienes, phospholipase A2 or prostaglandins in blood or inflammatory tissue. Anti-arthritic activity screening against cotton pallet induced granuloma. Estimation of level of lipid peroxide, superoxide dismutase, glutathione peroxidase and catalase like anti-antioxidative parameters in blood inflammatory tissue. In the present time due to globalization and fast paced economic growth standardization is a prerequisite in each and every step to export the herbal products. These concerns substantiate the need of isolation and standardization of bioactive marker to proceed for further preclinical and clinical studies. Large extent of research efforts along with funding from government and private sector are required to substantiate isolation and standardization of bioactive phytoconstituents. All the data qualitative, quantitative, efficacy and safety will enhance the scientific value and authenticity that will help in granting patent and peer review publication. 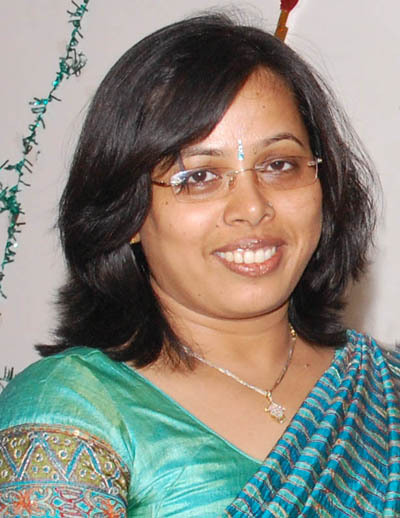 Author Papiya Bigoniya makes substantial contributions towards conception and design of the study, acquisition and interpretation of data, formatted and edited the manuscript. Author Faraz Siddique performed experiments, collected and analysed data, participate in drafting the article. Both the authors give final approval of the version of the article revising it critically for important intellectual content.